Between 2004 and 2006, David Thomas experienced a series of disasters in his life, culminating in being told that he only had a short time left to live. Rather than sinking into despair as many people would, he decided to fulfil his lifelong dream of living on a canal boat, while he still could. 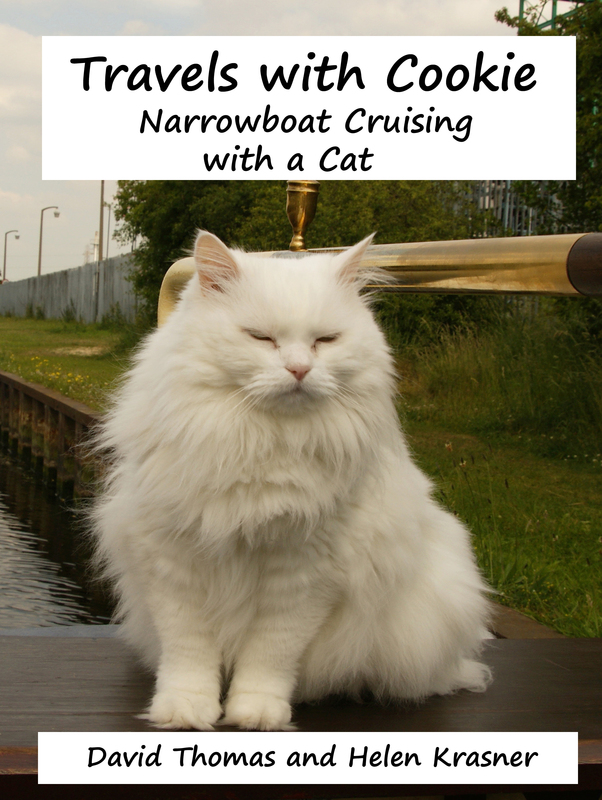 So he bought a narrowboat, LadyRiverMouse (an anagram of ‘Live Your Dreams’) with a view to spending the rest of his limited life cruising the canals and rivers of England. Naturally, he had to take the love of his life with him – a rather bad-tempered fluffy white prima donna of a cat called Cookie. Cookie was an indoor cat who had rarely been outside, never mind living on a boat, where according to David dogs are usually the pets of choice. Would it work out? David didn’t know, but as he put it, “I wasn’t going anywhere without my beloved Cookie”. The remainder of the book is an account of the few years David spent travelling through the waterways of his native land. Many people live on boats; few cruise as extensively as David did – to London, along the Thames, up to Wales, then tackling the wild and often desolate rivers of North West England. A beginner to boating when he started, David learned much as time went on, mainly by having numerous – and often hair-raising – adventures. So did Cookie, who contrived to get lost, fall in the water on a number of occasions, and generally use up most of her cat’s nine lives. Finally David met Helen, a helicopter instructor, writer, and – most importantly – cat lover. They fell in love, and David’s life began to change yet again, leading to the eventual sale of LadyRiverMouse and a new life in the Peak District for David and Cookie. David knows about boating, has an eye for detail, and is also an astute observer of his fellow men and women, both on and off the waterways. Therefore this book will clearly be of interest to those who have ever travelled on the canals or done any other boating, anyone who loves travel of any type, or simply the armchair traveller who enjoys reading about others’ adventures. But “Travels With Cookie” is more than just another boating or travel book. It is a tale of bereavement and divorce, of terminal illness and despair, and finally of romance, a seemingly miraculous cure, and a new life. Hence it should appeal to anyone who likes human interest stories of any type. And of course – as Cookie herself would tell you if she could speak – it is a must for cat lovers! Travels With Cookie is available in both print and ebook versions here. Signed copies are also available from me at no extra charge; email me for details.